Monster Truck is a huge pickup truck with an improved off-road engine. 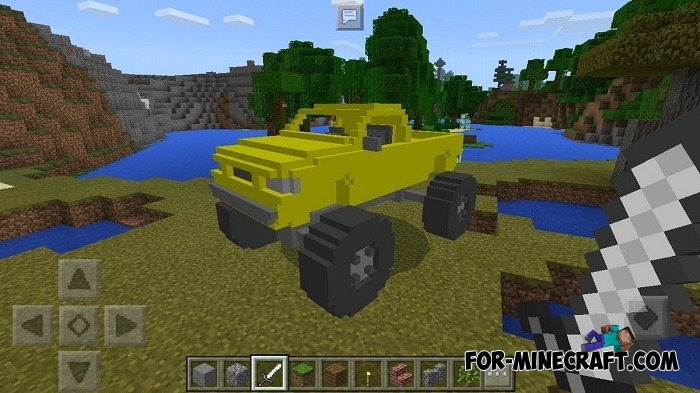 Who would doubt, but now this car is added to Minecraft PE and you can conquer new lands or just move around at high speed. The Monster Truck is made in six colors that will appeal to all fans of cars with large wheels. While driving, the wheels of the car spin that adds a bit of realism, although the model is not as good as the Lamborghini addon, for example. This is not the first addon that adds a car, others are on our website. How to get this Monster Truck? Open the creative inventory and take the pickup icon, and then spawn it on a flat surface. The truck has almost infinite health so you can do anything and go anywhere. 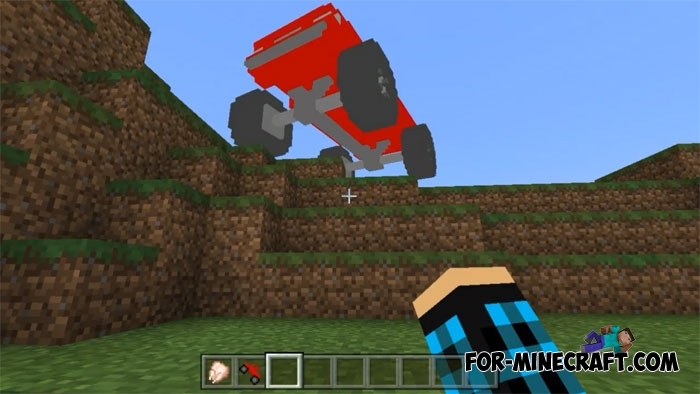 Huge wheels allow you to drive on small mountains and also jump from them without damage. In general, this is a great vehicle if you live in a mountainous area and you have to travel very often around the world. 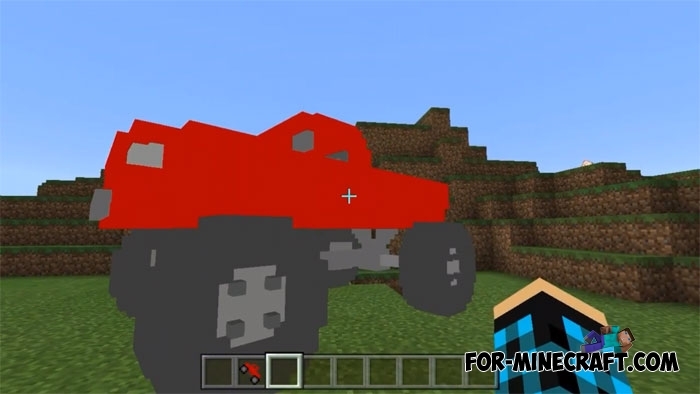 Lamborghini (2 in 1) for Minecraft PE 1.0.0/1.1Now you can ride in a sports cubic car. But this is not a simple vehicle, you will get a quick and impressive Lamborghini..